Today, Tuesday, April 9, general elections for the 21st Knesset are being held in Israel. 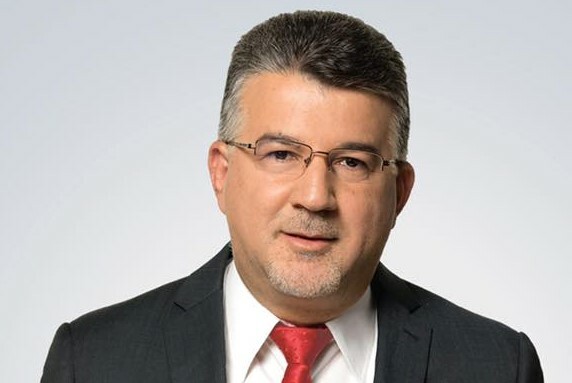 The website Sputnik discussed the elections last weekend with Dr. Yousef Jabareen, currently a member of Knesset from Hadash and a candidate from the Hadash-Ta’al alliance. Sputnik: These are the sixth elections in which Arab-led parties and their candidates have been forced to fight disqualifications; please share with us your own experience during this campaign. MK Jabareen: As you said, in each of the last few elections right-wing parties have waged this campaign of delegitimizing our political participation in the Knesset by trying to disqualify us in the central Knesset committee — and there’s been was a petition to the Central Election Committee to disqualify us. Luckily, the Israeli Supreme Court decided differently and allowed us to participate in the election. I believe this is a clear campaign to delegitimize our legitimate role in Israeli politics. It’s an attempt to keep us outside the political game in Israel, and I see it as an integral part of the incitement campaign of the right-wing against the Arab community in Israel and against the leaders of the Arab community. Maybe it’s about time to rescind the law that allows a political committee, the Central Election Committee — a political committee — to disqualify parties. For nearly a full week during the campaign we had to focus on this rather than reach out to our community and to our supporters. Sputnik: You are a candidate from the combined Hadash-Ta’al list, of which there are two; what are you offering your voters and how different is this from the Ra’am-Balad platform? MK Jabareen: Well Hadash, is the Hebrew acronym for the Democratic Front for Peace and Equality, and I would say these three words democracy, equality, and peace are the main political issues that we are focusing on. Israeli democracy is in danger, I believe, in the shadow of the campaign of the right-wing that is finishing the fourth Netanyahu government made up of a coalition of extreme right-wing parties. Striving for real democracy in Israel, not just talking democracy, is one of our main issues. The second issue is equality, equality for the Arab-Palestinian community within Israel. We’re about 20% of the population, 1.5 million, and historically we have suffered from marginalization and exclusion, and therefore our main political struggle has been to achieve equality as full citizens in Israel and to be recognized as a national minority, an ethnic minority and an indigenous minority in Israel; so we are struggling for both — for individual equality and for collective equality as a national minority. The third issue in our campaign is the issue of peace. We are struggling for a comprehensive peace in the area by recognizing the right of the Palestinian people, of our people, for a sovereign Palestinian state alongside Israel along the 1967 borders. We believe that this will bring hope not just for our people, the Palestinian people, but also for Israel as well. Israel cannot live in a quiet environment and they cannot live in real peace without recognizing the rights of the Palestinian people. When it comes to the other Arab list, in these issues we share a similar platform. In the previous  election we ran together with them in the Joint List; however, our focuses are different. The other list includes, for example, the Islamic movement, which has more religious ethics in their platform. I believe that we have the credit of having served our community for over seven decades, initially within the Communist Party and now within Hadash. We have this impressive record of struggling to preserve our identity as Palestinians and to preserve our basic rights in our homeland. Sputnik: You basically answered my next question about the equality issue. Whoever wins the Knesset, would you say that the equality issue will be a central problem on the agenda as one that matters for Israel? MK Jabareen: I think so. We stress that the last government legislated the racist Nation-State Law that includes provisions designed to exclude Arab citizens from major public realms, basically from governmental services in the area of land and housing; in the area of language, and in the area of identity; in the area of the symbols of the state. During the last two years, the issue of discrimination has deepened and there is more and more racist legislation and racist policies by the government, basically making it the main issue of our struggle. These policies and legislation touch all areas of our life: starting from issue of discrimination in the allocation of resources to our municipalities and our communities, discrimination in the allocation of land. There’s also the ongoing process of confiscating the lands that have remained until now in our hands, and there are also racist attitudes that we face in employment and in public accommodation. So generally speaking, yes, there is this ongoing treatment of our community as second or third class citizens and our main struggle remains to defend our rights and to struggle for first-class citizenship in Israel, in our homeland. As I said, all this goes along with our struggle to support that of the Palestinian people to establish a sovereign Palestinian state alongside Israel with East Jerusalem as its capital. These are the main issues and they will remain the main issues in the upcoming election and in our work under the next government in Israel. Sputnik: Looking at these elections, one wonders what kind of real change they might bring to Israeli Arabs. Last year, the Knesset presidium refused to allow a bill entitled Basic Law: State for All Its Citizens, proposed by Balad, to be taken into consideration; your own bill, entitled Democratic Multicultural and Egalitarian State, was dismissed in the early stages of the parliamentary debate. Can there be a real changes brought about by these elections to Israeli Arabs? MK Jabareen: It seems like this is currently an open question, because no one knows if Netanyahu will be able to establish his fifth government; maybe the opposing party will do that. I’m afraid that if Netanyahu establishes another extreme right-wing government with extreme right-wing parties, I’m afraid that the issues of discrimination and exclusion against our community will only deepen and we will find ourselves in a more difficult situation with the next government. However, I still hope that we have few more days and that the Israeli public will understand that Netanyahu is leading the area to a continuous confrontation without bringing any hope. I would like to believe that the Israeli public will not give him any more chances to continue to lead the government, especially now that he’s facing very serious criminal charges. On the other hand, I want to hope that any alternative government would really bring change, and not just be another Netanyahu government or another copy of a Netanyahu government. This would be a serious change, but we still don’t know what the situation will be. In any case, we will continue our struggle to achieve the goals that we have discussed. Hopefully, if the right-wing or the extreme right-wing parties stay outside in the next government, that might be the start of change, if not the change itself. Sputnik: During recent months we’ve witnessed the United States taking several steps demonstrating support for Israel: the American Embassy and the Consulate were moved to Jerusalem; the US has recognized Israeli sovereignty over the Golan Heights. To what extent do these events affect the upcoming poll? MK Jabareen: It seems to me that it’s clear that the timing of the American proclamation was clearly intended to help the Netanyahu campaign and I see this as a gross interference in the Israeli election. We are witness to an undeniable coalition between the Trump administration and the Netanyahu administration here in Israel; that’s a clear coalition between right-wing in the US and right-wing here in Israel. This is really unfortunate and it also goes against the historical stand of the US against occupying the Golan Heights. The Golan Heights are Syrian territory and will remain Syrian territory, and we have here the EU position — where there is no change — and basically, the world position is that the America shift in policy goes against international law, it goes against the international consensus about the Golan Heights being occupied Syrian territory. I’m afraid that this will pave the way for the following declaration, some kind of recognition of Israeli settlements in the occupied Palestinian territories as a sovereign Israeli area. This is dangerous, this goes against not only international and Palestinian interests, but I believe this goes against the Israeli interests as well because this will perpetuate the confrontation, perpetuate the conflict and keep despair in the area. The hope would come only from a peace campaign and a peace process that would recognize the Palestinian state along the 1967 borders and recognize the Golan Heights as Syrian territory and basically give it back to Syria. This is the only hope for the region and this is the only hope for the international community in general.